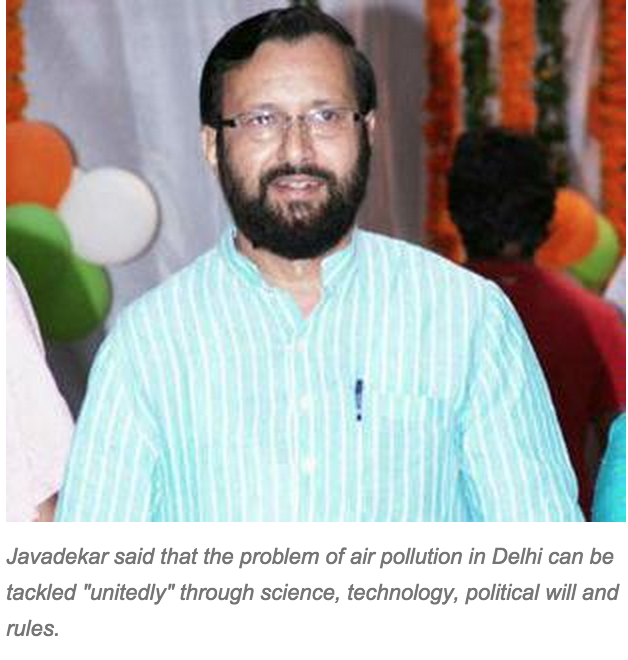 “Environment Minister Prakash Javadekar today said that the problem of air pollution in Delhi can be tackled “unitedly” through science, technology, political will and rules while asserting that his Ministry is preparing an indoor air quality protocol to combat pollution. Admitting that Delhi was one of the polluted cities of the world, Javadekar said that the launch of the National Air Quality Index by Prime Minister Narendra Modi aims at providing a comprehensive health card for air.” The Economic Times. Read it on delhiair.org.